Hanoi (VNA) - The Ministry of Planning and Investment (MPI) has proposed major incentives including prolonged income tax exemptions for businesses and individuals working in special economic zones in three provinces. The investment incentives are contained in a draft Law on Special Administrative-Economic Units that the ministry has prepared for submission to the Government and the National Assembly (NA). The special economic zones are Phu Quoc in Kien Giang province, Van Don in Quang Ninh province and North Van Phong in Khanh Hoa province. The MPI is suggesting an income tax exemption of five years for individuals living and working in these zones, and a 50 percent income tax break in the remaining years until 2030. This applies to “managers, scientists and qualified experts, as well as businesses, workers and other economic factors,” the draft says. The draft is slated to be passed by the National Assembly at its meeting in October this year. The MPI has also asked Phu Quoc to give its own incentives, such as increasing additional income for civil servants working here from 30 percent to 50 percent of their base salary. It has also suggested that in order to encourage investment, local administrations of the special zones are allowed to grant permanent residency to foreign investors with projects worth 5 million USD and above who stay for a minimum of five years in Phu Quoc without breaking any Vietnamese law. The MPI also considers Phu Quoc’s infrastructure to be developing with balance and forethought, with many high quality resorts operating successfully. It notes that the Politburo has permitted the island to build a casino where Vietnamese citizens would be allowed to gamble. 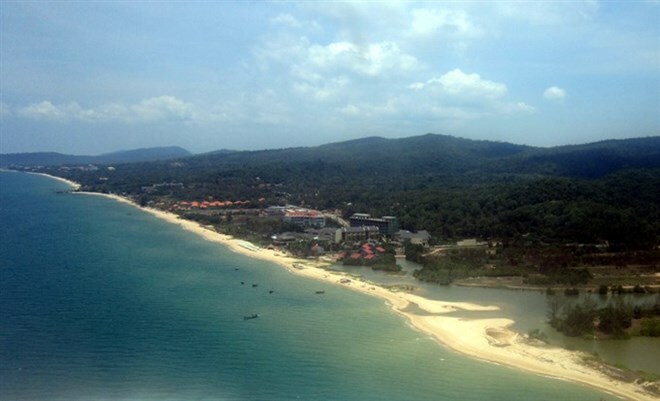 To turn Phu Quoc into a commercial, service and shopping hub of world standards, the MPI considers this the only special economic zone to have priority for developing its fisheries and manufacturing sectors. The island is seen as having numerous advantages, despite its distance from the mainland and having just two major access points via air and sea. It is blessed with great weather, 63.2 percent of fertile agricultural land, scenic mountains, forests and beaches, and great potential to develop a large, diversified fisheries sector. The other two zones, Van Don and North Van Phong, should also receive similar preferential treatment, the MPI says. Van Don should focus more on developing ecotourism and sea travel and hi-tech agriculture, while North Van Phong should utilise its geographic advantage to develop deep water ports, logistics, medical and convalescence resorts, it says.